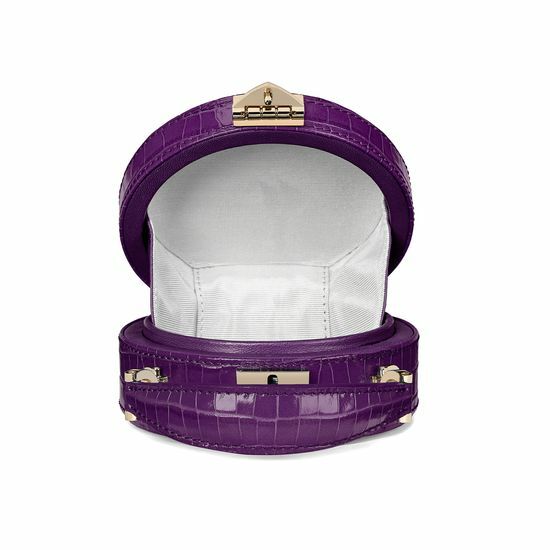 Adorably sweet and playfully elegant, our Micro Hat Box is the perfect accessory to accompany an elegant ensemble. 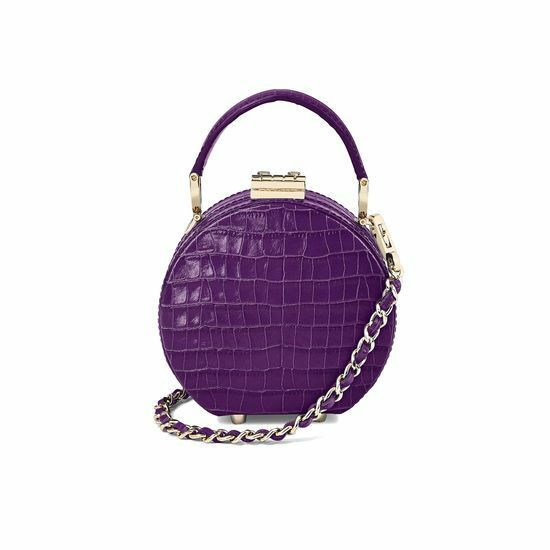 Hand-crafted to our exacting standards from the finest deep shine amethyst small croc print Italian calf leather, the structured design is lined in shimmering grosgrain and secured by our signature shield lock closure. 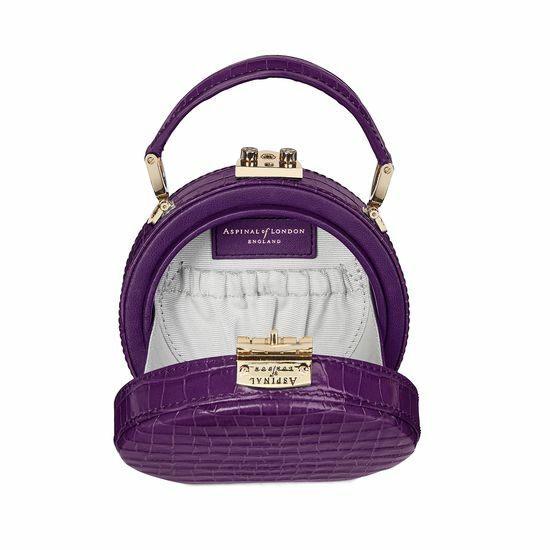 Designed to store your barest of essentials such as your credit cards and keys, carry this miniature piece by the petite leather top handle, or wear it across your body with the detachable leather-plaited chain strap to make a serious style statement. Protective base feet keep the rich, glassy shine of the leather safe from wear and tear. 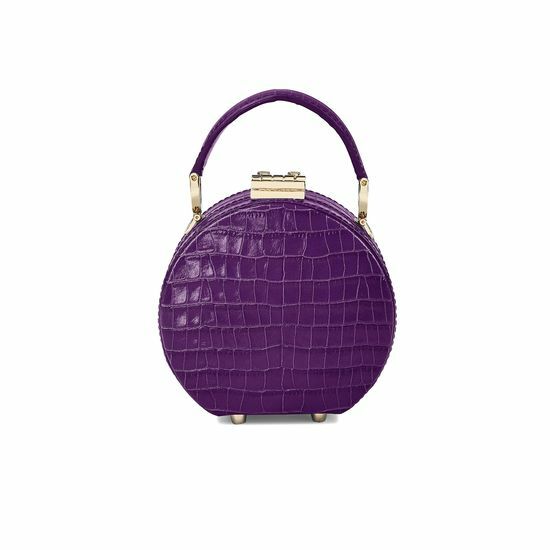 Match it to your fascinator for a striking formal look.